These Korean Chicken Skewers make for an easy and tasty meal. 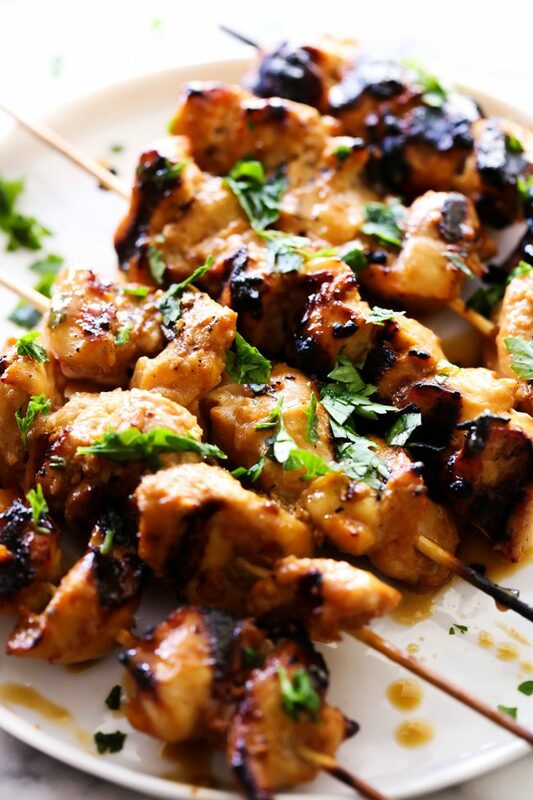 Delicious marinated chicken is grilled to perfection with a refreshing flavor. I loved grilled recipes regardless of the temperature, but summer is definitely my favorite time to bust it out. I don’t have to heat up my house and they make for easy, quick and delicious meals on busy summer nights. I found this recipe over at Closet Cooking and couldn’t wait to try it out. I changed up some of the quantities to my personal preference and my whole family loved it! 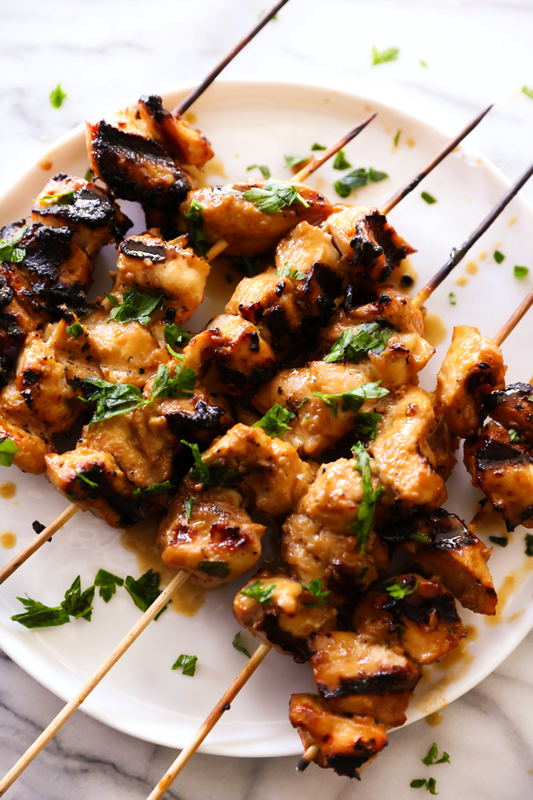 If you are looking for a fun new flavor to bring to the grill, give these Korean Chicken Skewers a try! It has such a light and fresh flavor to it and it is sure to be a huge hit! Combine garlic, ginger, onion, soy sauce, sesame oil, brown sugar, green onion, salt and pepper in a freezer bag. Mix well and add the chicken. Marinate for 2 hours. Skewer the chicken on the wet skewer. With a strainer pour remaining marinade into a small sauce pan bring to a boil. Reduce heat and cook on low for about 8 minutes. Set aside. Placed chicken skewers on grill and cook about 5 minutes per side, until cooked through, Basting the chicken with glaze as you turn them. This is a recipe I will be trying as soon as I obtain the ingredients. Sounds easy and tasty. Would you ever consider adding suggested accompaniments for a complete meal? Thank you!